No matter which Dojo you go, Junzuki is the first thing you learn. It's the most basic punch in Karate common to every style out there. On this page, you will learn the basics as well as the advanced details of Junzuki. 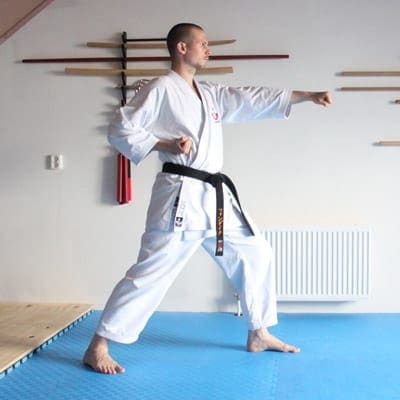 So no matter you are a white belt or advanced Karateka, you will find knowledge necessary to deepen your knowledge and up your skill. Let's start with looking at the meaning of Junzuki (the name), the stance and the important points. 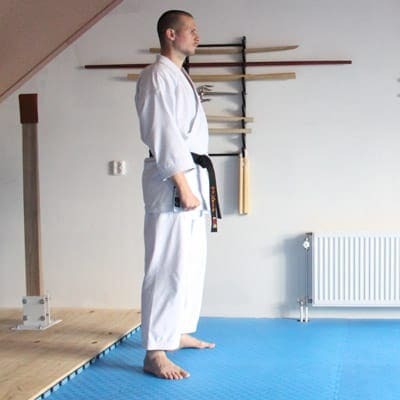 Meaning of Junzuki: Jun is a term that comes from Jujutsu. It basically means that in case of a left stance, the left hand is used. In case of a right stance, the right hand is used. 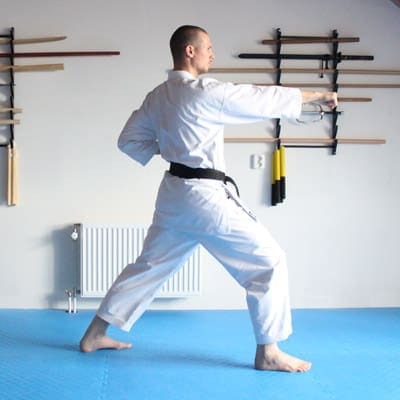 Name of the stance: Zenkutsu dachi or Junzuki dachi. Zenkutsu means to bend forward. 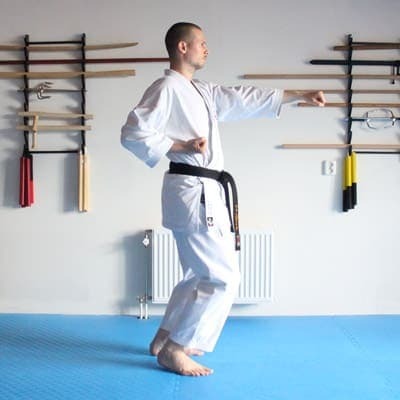 Because there are several zenkutsu dachi the specific name of this stance is Junzuki dachi. Important points: Push from your hips and relax your knee. Keep your back straight as you move. Squeeze your elbow as you punch and twist your fist as late as possible. Your front foot should point straight forward.